Unless you are doing regular A/B tests on your emails and your landing pages, you can never be sure that your email marketing campaigns are working as well as they could. A strict regimen of A/B testing allows you to compare different versions of your marketing materials and choose the ones that work best and generate the greatest response. Are you sure your subject line is really effective? The ideal subject line will allow you to instantly capture the attention of your subscribers. You will not find the most effective subject until you do the right A/B testing. For example, start testing personalized vs not personalized subject lines and long vs. short subject lines. You can also try completely different topics to analyze what content gets the most attention. The call to action is the heart of every marketing campaign: it should be clear and persuasive. If you fail to tell your readers what you want them to do, you can bet they will not do it. Whether you want visitors to join your mailing list, visit your website or respond to your landing page, the call to action is what gets it done. Doing regular A/B testing on your landing pages, and email messages is the best way to optimize your marketing and get the results you are looking for. The A/B testing could compare the results of a strong call to action versus a softer and more subtle approach. For example, test offering limited time promotions. The results of that testing could drive your future camapaings. You might not think the placement of a button would make much of a difference, but it does. Simply moving a button from the bottom of the page to the top could dramatically increase response rates and reader interest. Do not simply assume, however, that you know where to place the buttons. Consistent testing and tweaking is the only way to ensure every button on your website, blog or landing page is optimized for the best response. There are endless ways to do A/B testing of button placement, including right vs. left, top vs. bottom, integrated into the text vs. standing separate. 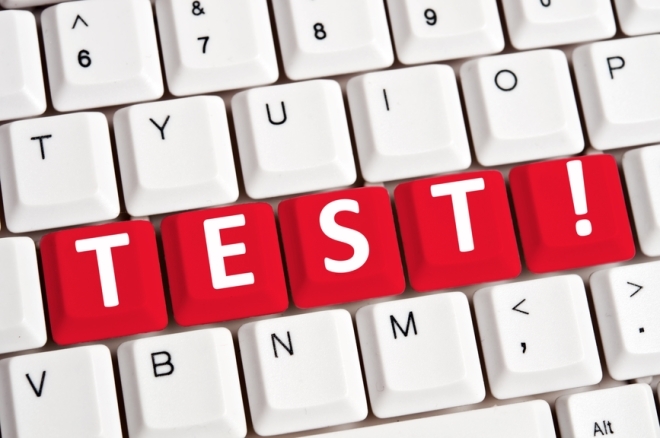 You may need to do several rounds of A/B testing to determine which approach works best. Does calling your customer by name really make a difference in open rates, or is it just wasted effort? Until you do A/B testing of your email messages, you will never know for sure. Personalization can be a valuable tool for email marketers, but it is not always as effective as it is made out to be. Do you achieve better results calling your subscribers by their first names or using formal salutations like Mr. and Ms.? Only A/B testing can tell you for sure. The To: line is an essential part of every email message, but it is important to test and optimize it on a regular basis. Test the open rates of your messages using the company name versus your name or the name of your employee. Which To: line generates the best response? Only A/B testing can get you the answer. The time of day and day of week can make a big difference in everything from open rates to sales, but until you test you will never know which times are the best. Regular A/B testing using various timing is the best way to optimize your messages and get the attention of your customers. Different colors invoke different responses in your readers. Some colors are calming and soothing, while others are harsh and jarring. Never assume you know the right colors to use on your landing pages, blogs, web pages and email messages. Instead, test your messages carefully to see which ones elicit the best responses.Do your subscribers respond more readily to messages sent on the weekend or on weekdays? Mornings vs. afternoon and evenings? The right A/B testing can give you the answers you need. Do Customer Testimonials Really Make a Difference? Customer testimonials can be powerful tools for email marketers, but their actual effectiveness is anyone’s guess until you do the right A/B testing. Running tests of your messages with and without the testimonials in place is the best way to assess their true value and build a strategy going forward. Test your message by including testimonials in one set of message but not the other. You might be surprised at the results. Everyone loves a bargain, but what do your customers value most? Do they crave free shipping? Do they respond to discount coupons and free product giveaways? A/B testing will help you answer this essential question and optimize your message. A picture might be worth a thousand words, but until you do A/B testing you will not know how valuable it is. Your A/B testing should include variations on image height and overall size, as well as colors, borders and other visual changes. Regular A/B testing will allow you to optimize your messages and make the most of all your email campaigns. Even if you think you are doing everything right, testing and tweaking your emails, web pages and landing pages can boost your response rates and get you more sales.